The following image has been kicking around all day as the proposed leaked image for the expansion. 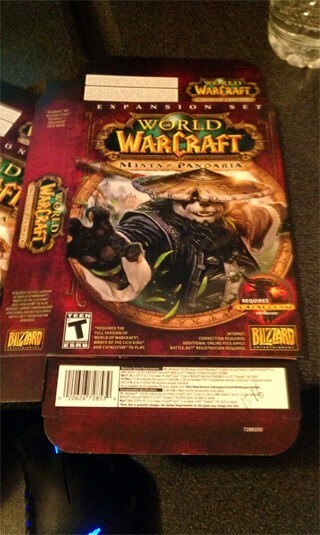 It looks alot like the style that blizzard would use for their boxes. Do you think this really is the final box? if it is it proposes that the expansion release is not too far away. I predict the next announcement will be of the Expansion going GM and being stamped to the disks. 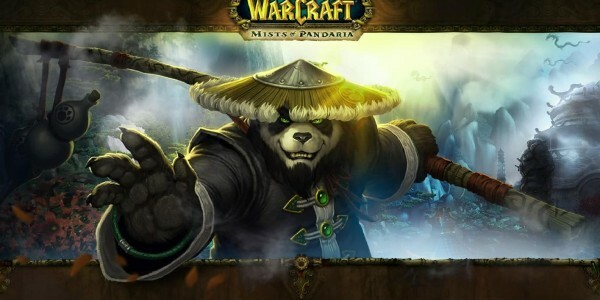 Flaskataur, a large Tauren who sells all glyphs for your class, has been moved from Temple of the Jade Serpent to Stormwind, Orgrimmar, and Valley of the Four Winds in Mists of Pandaria beta. Quite a number of cosmetic glyphs have been added to the game especially for monk, hunter, mage, priest, or shaman. Some exampels are [Glyph of Borrowed Time] which displays as an icon above the users head, while [Glyph of Shadowy Friends] extends your shadow form to your non-combat pets. One new ability that leaves me a little envoius of hunters is Glyph of Fetch: Teaches you the ability Fetch. Command your pet to retrieve the items on a nearby corpse! [bluequote author=”Daelo” link=http://blue.mmo-champion.com/topic/227584-raid-testing-starting-soon/ source=http://us.battle.net/wow/en/forum/topic/5889160100#1]We plan to start Mists of Pandaria Beta raid testing this Friday, June 22. We’ll begin testing with the 10 player Normal difficulty version of the Stone Guard in Mogu’shan Palace. Available testing times for testing will be posted soon. 25 player Normal difficulty testing should begin next week, with Raid Finder and Heroic difficulty testing to follow in the weeks ahead. You must be level 90 to participate in the raid test, and level 90 character templates will not initially be available. We do have some new technology that automatically raises or lowers your items to the appropriate level for testing. 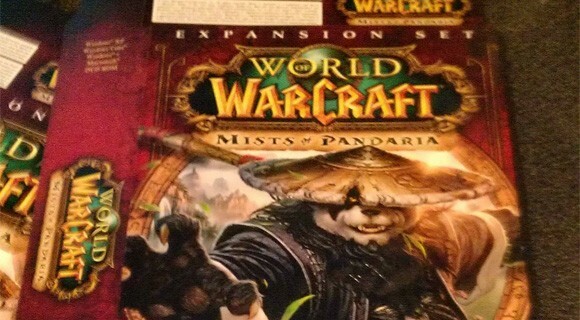 So as long as you have a Mists of Pandaria quest or dungeon item in every slot, you’ll be fine. Note that player interface add-ons are disabled on the beta at this time while we work through some technical issues. They’ll be available once again at some point in the future. As always with raid testing on beta or public test realms, the schedule is subject to change or cancellation with very little warning. Server issues, build issues, newly discovered encounter, combat, or class bugs, and many other reasons could prevent testing. While I will endeavor to provide warning about future tests, this will also not always be possible. Whatever I do know, I’ll post here in the Beta Dungeons forum as soon as possible. 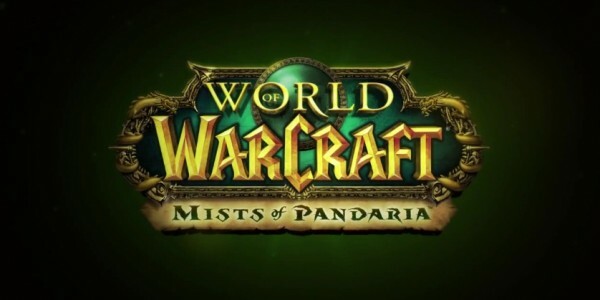 What are your predicitons for MOP will raiding continue to shift towards 10 mans?